MY MAGNIFICENT LIFE: HAPPY FALL DAY! So do I. The picture of the leaf is stunnibg. Thank you. 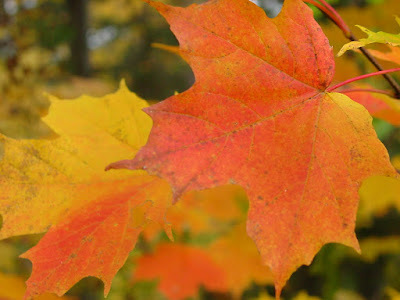 When I lived in Alberta the fall colors were mostly yellow or shades of yellow because there are no maple trees. The bright red colors in Ontario are absolutely vibrant in the fall. It is my favorite time of the year.